Today apps have gained more edge than websites as the users today prefer mobile apps rather than opening websites on desktops as they are more user friendly than websites and easily accessible. Is is estimated that app industry will generate up-to 188.9 billion by 2020. Google's play store receives more than thousand app submission per day. At this rate of growth we can easily understand the growth of app industry. So it's difficult make an app that can stand out with this intense competition booming in. So the business and agencies make tough marketing plans to boost downloads and increase users retention on their app. Research Your Target Audience Effectively: before starting the marketing of your app do understand your target audience very well. Choose a particular group of people whom you want to target. Do their segmenting, targeting and positioning very well. Define important details like age, demographics, habits, lifestyle, interests and behavior very well. Your app is likely to perform more better if you aim at your target audience. Do Your Competitor Analysis Very Well: understanding your competitors is a big key to your business. Try to differentiate your business from your competitors. Try to follow out their communication strategies and try to work on them. Choose The Right Category For Your App: before launching your app make sure you put your app in the right category. Choosing the right category makes you ensure that your app is among the right group. Optimize Your App Landing Page: create a mobile app landing page that sell your products and services in a creative manner. You must make sure it must have key elements like app name, features, call to action and a promotional video to give a brief insights about your app. App Store Optimization: it is very much similar to on page seo that we do for a website. First step before starting the app store optimization is to do your keyword research analysis very well and identify your app users potential keywords. Include your keywords in your app title, name and description to rank your app. It is one of the best keys to boost your app downloads and increase your app users. Share Screen shots: share the screen shots of your app to to make the users understand about your app essential features and it's deep insights. App updates: keep on updating your app with new features including the technical updates like changing the layout, creative templates and technical specifications to keep the users engaged on your app forever. Universal App Campaign Adwords: universal app campaign is a great tool for boosting your app downloads. Through this campaign the ads for your app appear on Google search, display, play store and you tube network. Through this you do marketing of your app very well by reaching many people. Promotional Video Of Product: Make a compelling promotional video of your product to show off your app through Youtube videos and Facebook ads. The best and effective way for marketing the app is to create a fun video of your app related to your products and services. Start A Blog: inform your audience about your apps progress. Blogging can play a key role in developing interest among the users and provides a better search visibility too. Update quality content and select good keywords to reach you target audience very well. Make Good Use Of Social Networks: as social media optimization is done for websites you can similarly do it for app too. You can use social media ads to reach your right target audience for the app. Through social media you gather a lot of data about your target customers. Actively Measure Your KPI's: do regular analysis of key performance indicators and understand in depth analysis of your apps performance. It's a big key to measure success of your app. Like app installs, uninstalls and regular users. App Reviews: app reviews play an important role in determining the ASO of an app this is because the users download the app only after seeing the reviews which can be positive or negative depending upon the user experience. Positive reviews can attract good downloads for your app while negative reviews can even increase the uninstalls also. So this makes it clear that app marketing is very critical for the success of your business. 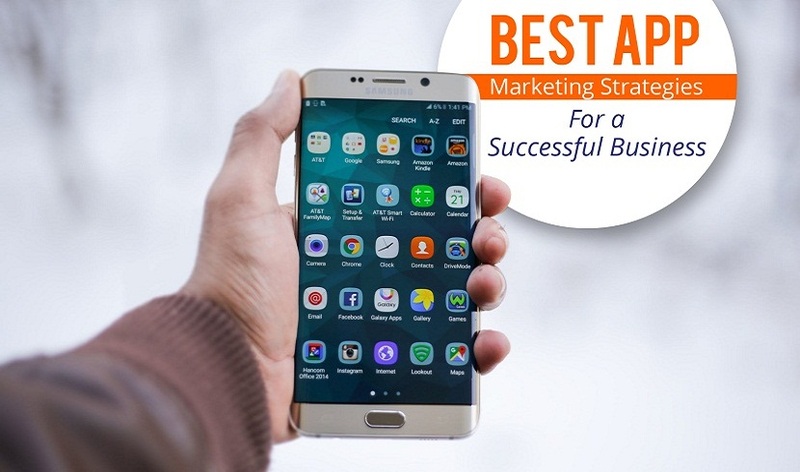 The App marketers are also spending precious time and money for making their a app a successful one if it plays a key role in boosting the overall business of an organization.